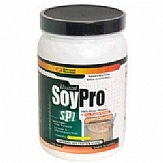 Advanced Soy Pro from Universal Nutrition is a great tasting option in soy protein powders that is economical and formulated for body builders, nutrition enthusiasts, and vegetarians alike. Just one scoop of this low cholesterol protein provides 25 grams of protein and meets the FDA’s heart healthy claim for soy in just one serving. 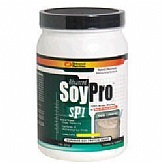 Advanced Soy Pro provides options for vegetarians as well as those with specific food allergies or lactose intolerance. 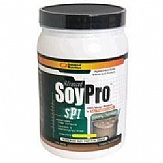 With each serving of Universal Nutrition soy protein, health conscious people can enjoy a low fat, sugar-free formula perfected for anyone on a low carb or fat restricted diet. Soy protein powders are a convenient ingredient that can be added to pancake batters, hot cereals like oatmeal or cream of wheat, and homemade muffins or breads. 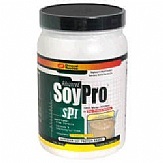 Advanced Soy Pro contains zero carbohydrates and less than one gram of fat per serving. Mix just one scoop of protein powder with 12 to 16 ounces of water to your favorite beverage twice daily for best results. It is best when taken 45 minutes prior to a meal and post-workout. For the most optimized absorption, mix with a diluted fruit juice or other highly diluted carbohydrate drink. Product must be stored in a cool and dry place and kept out of the reach of children.